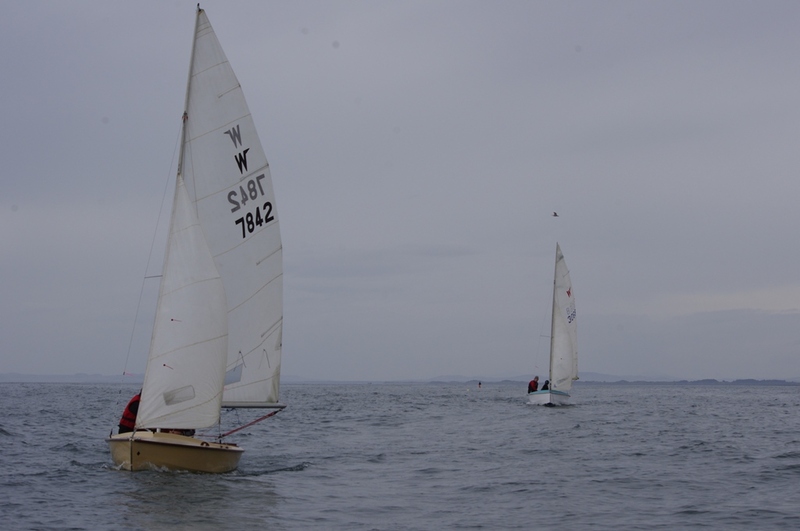 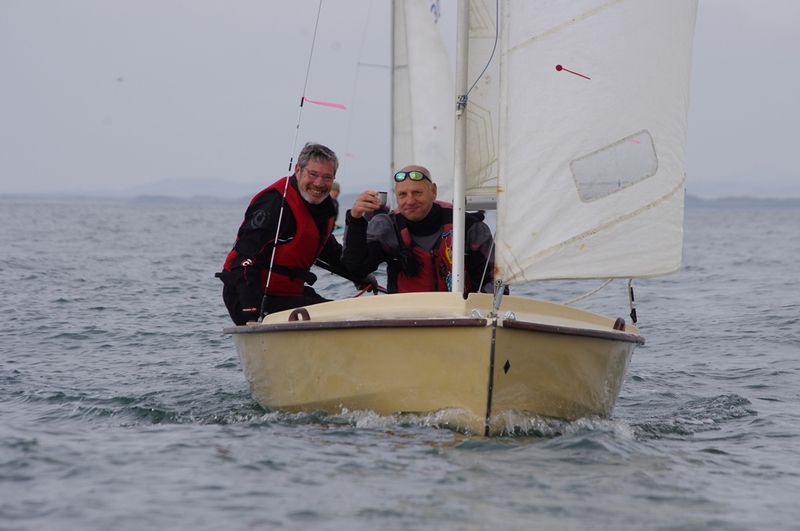 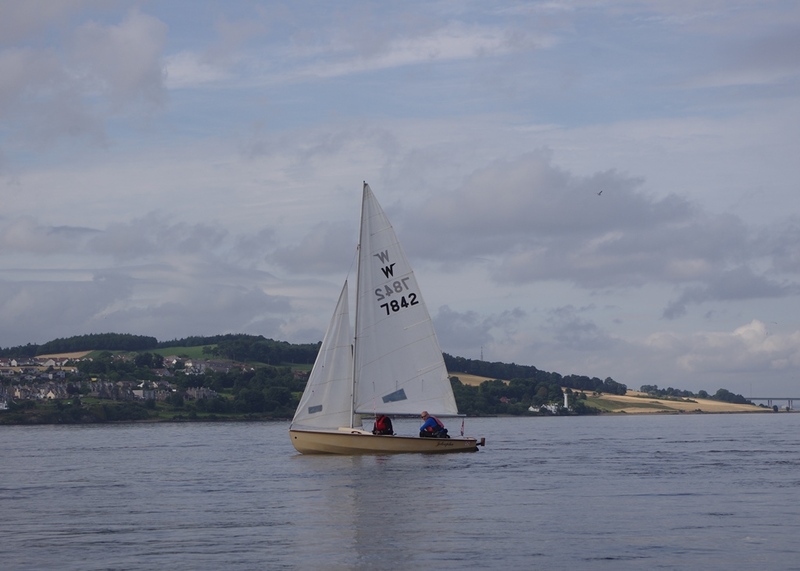 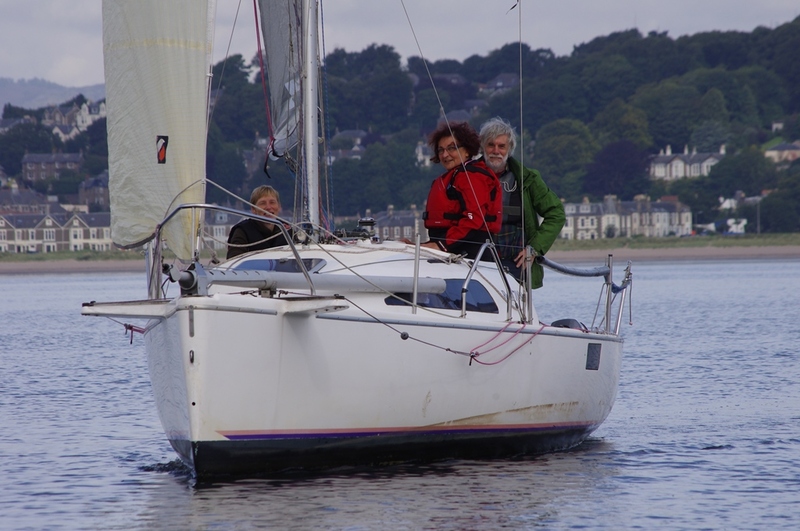 Four boats, 3 Wayfarers and Mr Bump, set off at 9.30 on Saturday morning, accompanied by Simon Ogston’s Bull 7000 keel boat from Tayport with 2 DSC members aboard. 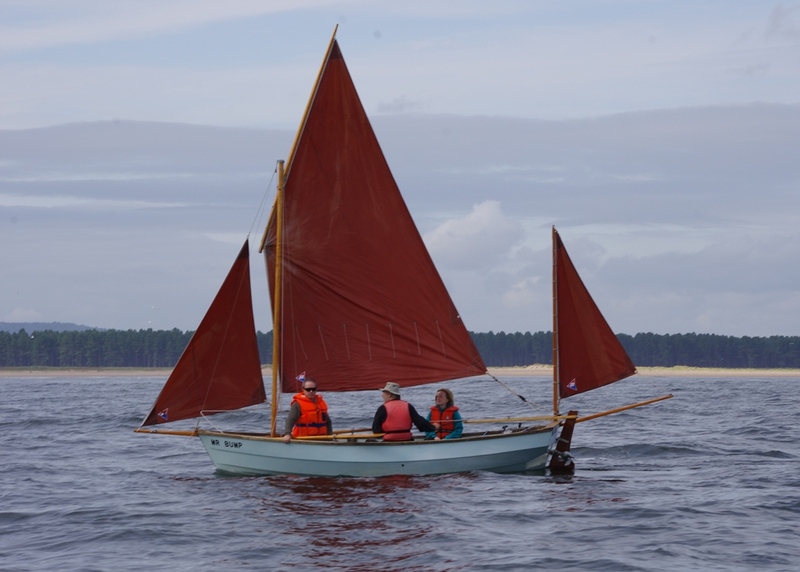 After initially drifting downriver on the tide a SE breeze picked up and guided the boats around Buddon Ness and over the Gaa Sands towards Carnoustie. 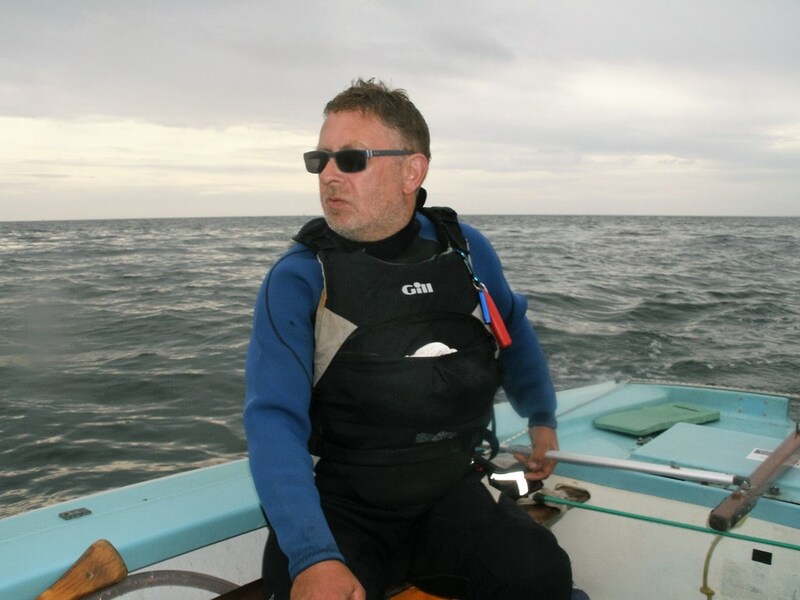 The breeze carried us nicely up to East Haven where the Wayfarers, with Mr Bump still a speck on the horizon, fatefully decided to continue in favourable conditions without waiting to take Mr. Bump’s outboard engine. 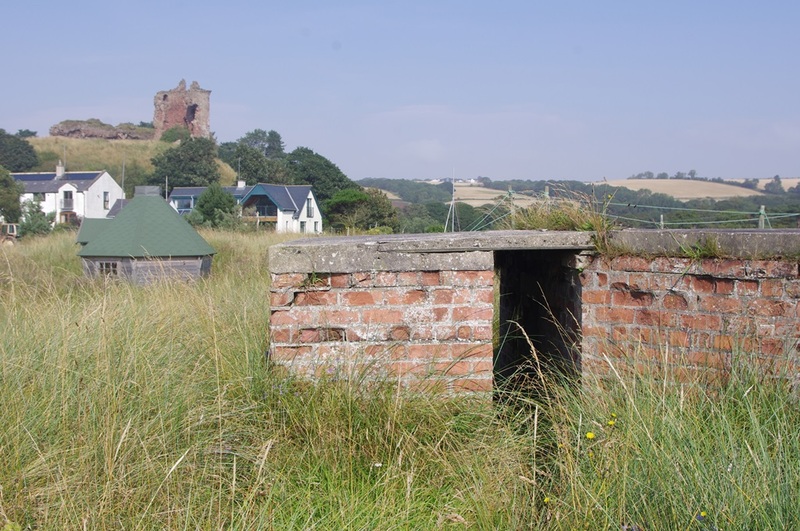 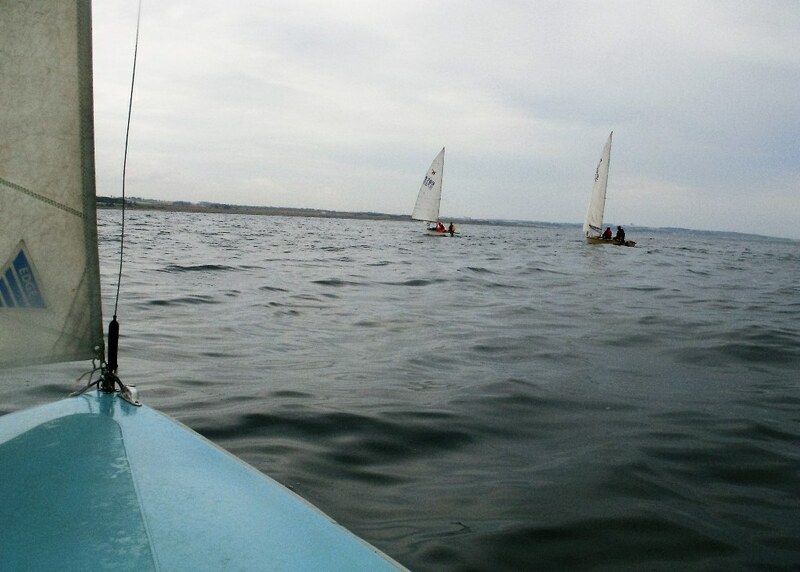 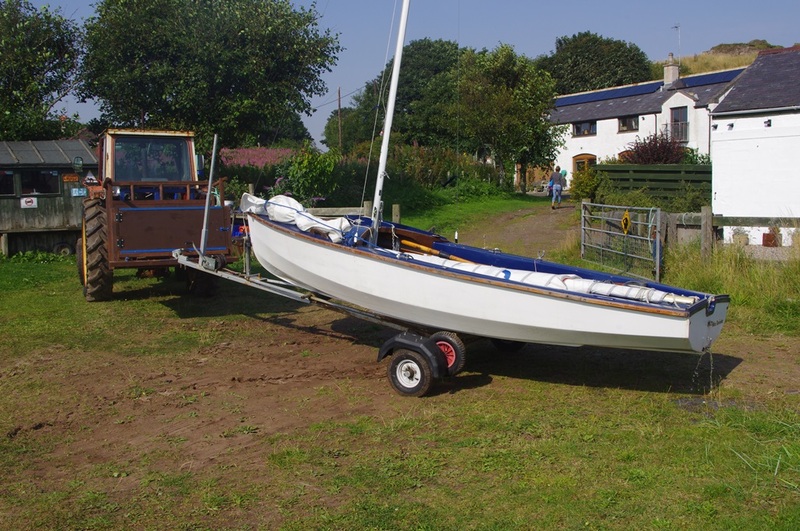 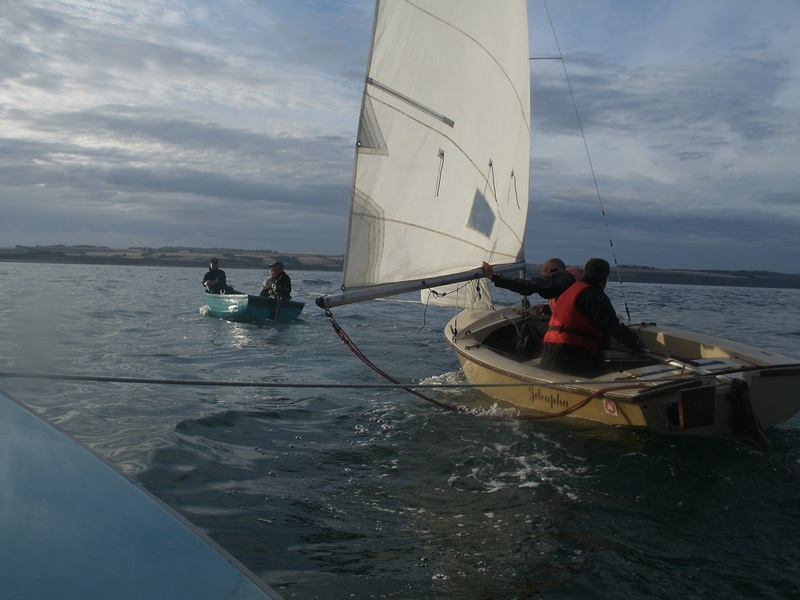 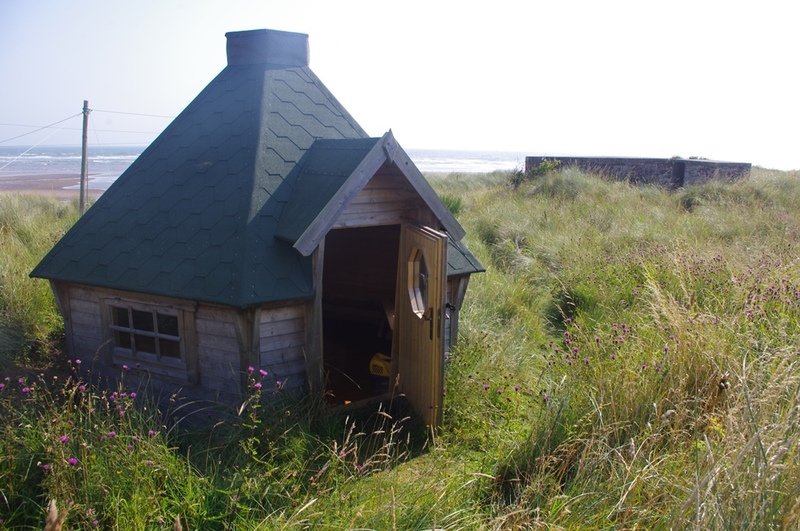 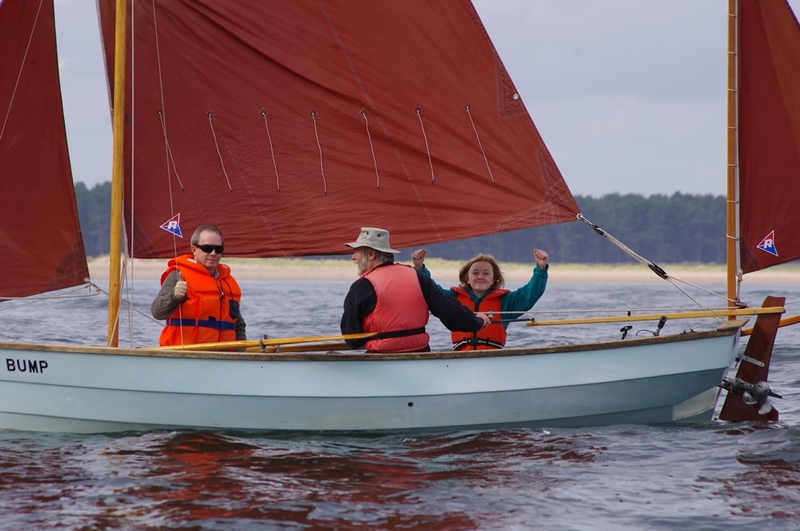 With the keel boat turning back at Arbroath, Fiona transferred to Wayfarer Wee Taniwha for the trip onward to Lunan Bay. 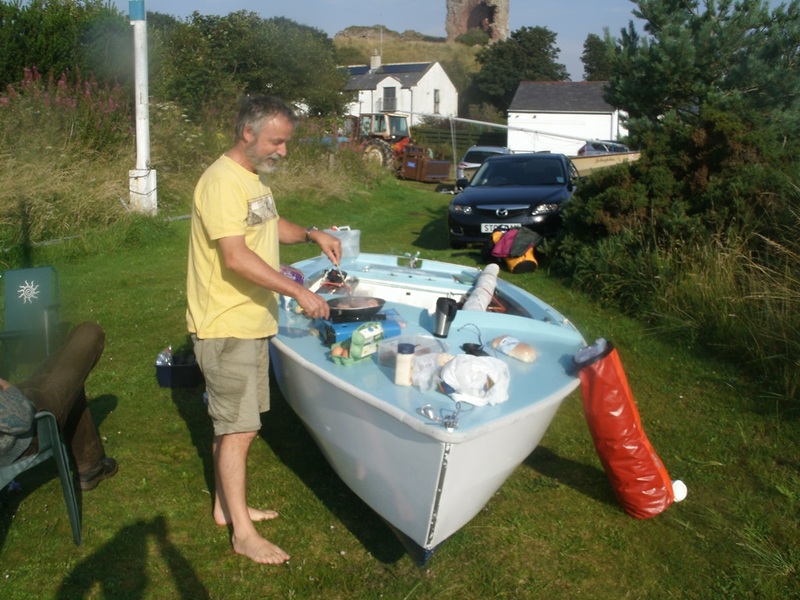 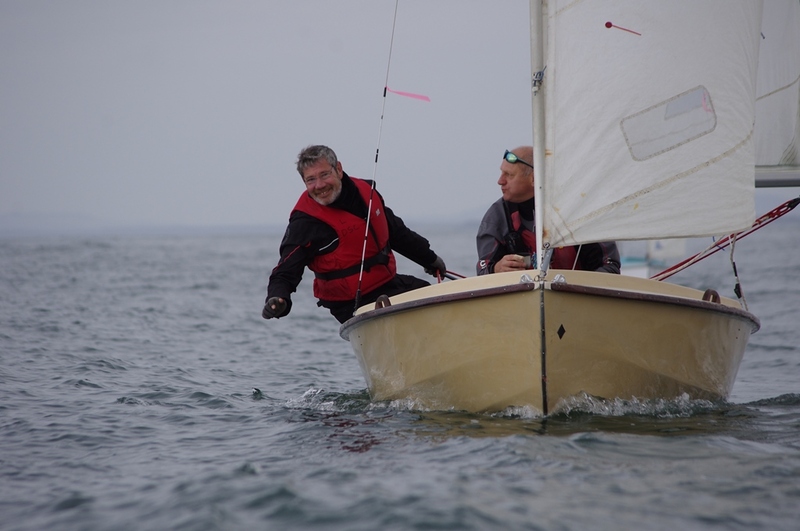 The crew of Mr Bump in the interim were firing up the BBQ with members of Carnoustie Sailing Club who had also sailed to East Haven, before also returning to Dundee. 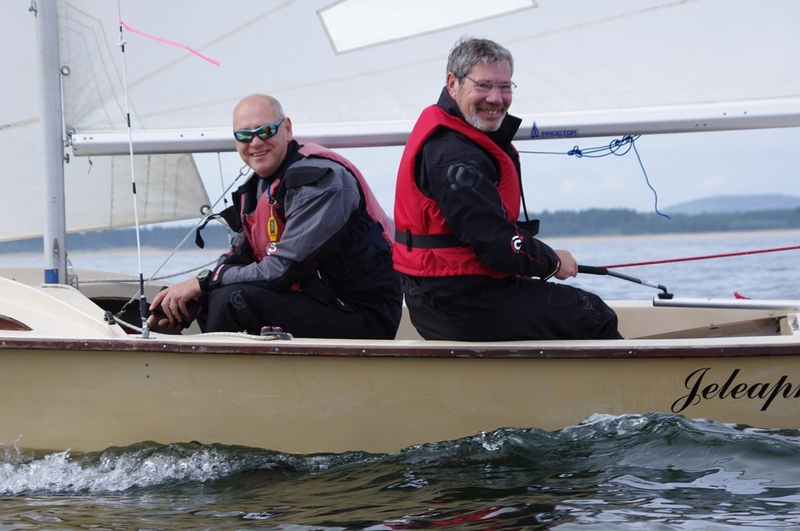 Looks like a nice joint venture for the program next year! 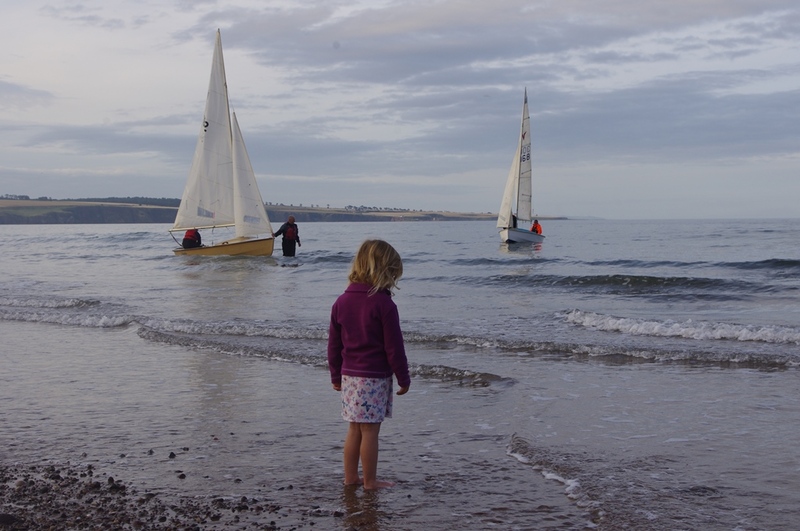 The wind promptly died after Arbroath for the remaining 3 boats and slow progress was made up past the cliffs and Auchmithie with the occasional light gust and lots of rowing and paddling! 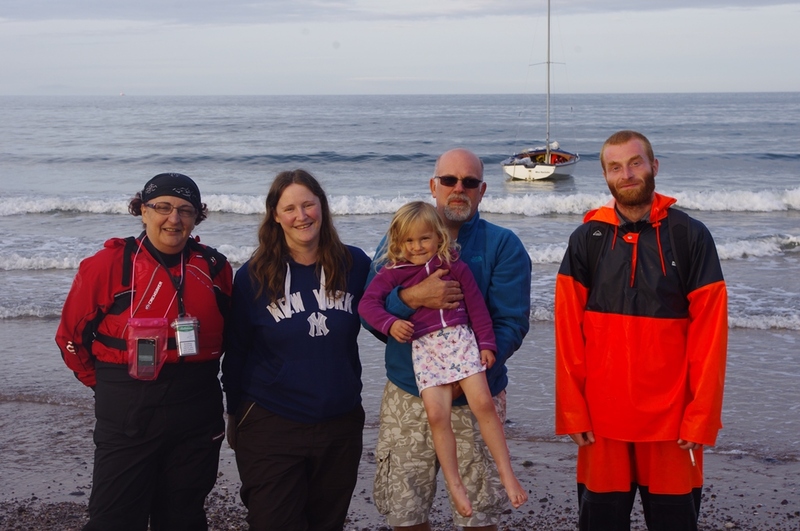 The crew on Wee Taniwha were rewarded with the amazing sight of a Minke whale surfacing spectacularly 50 feet from the boat! 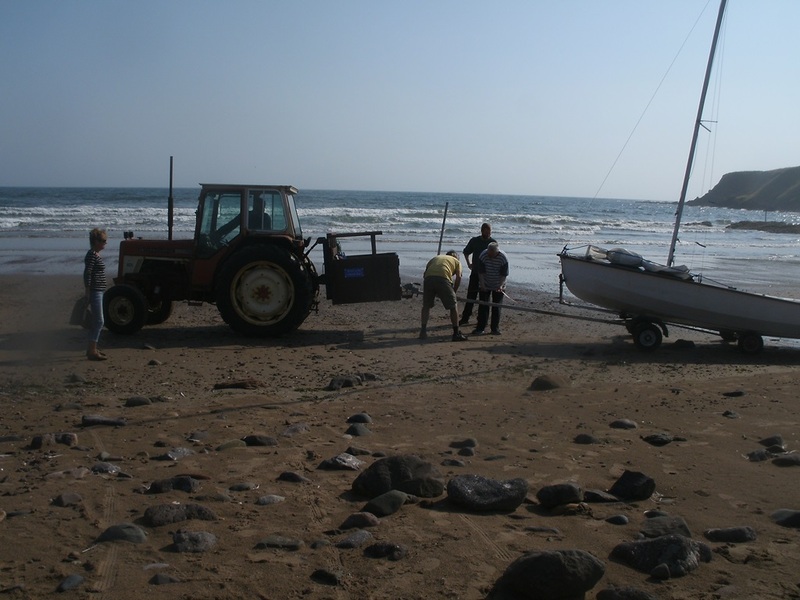 Rounding Land Craig Wee Taniwha forged ahead with the aid of oars, chatting with some fisherman hauling in mackerel off the point, before landing at 7pm at the small slipway at the south end of Lunan Bay, welcomed by the Lunnon family. 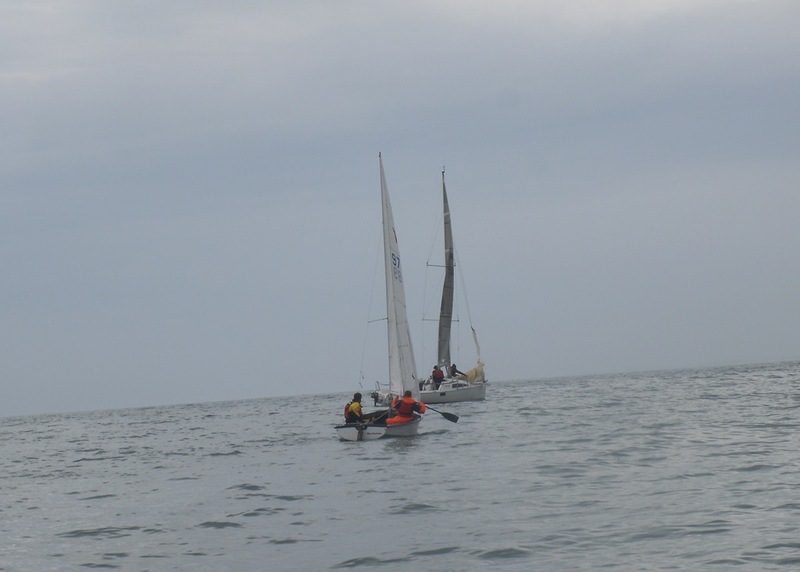 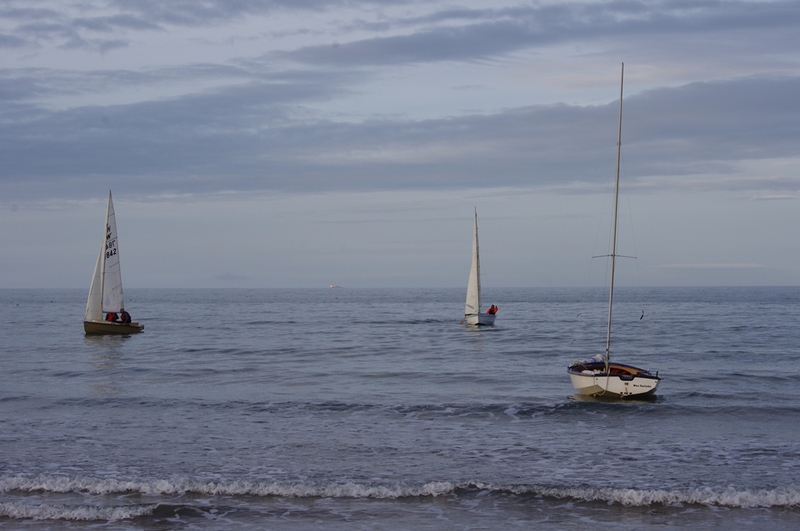 The other 2 boats helmed by Tam and Alan “we don’t need an engine” Dewar appeared under tow from the tiny fishing dinghy! 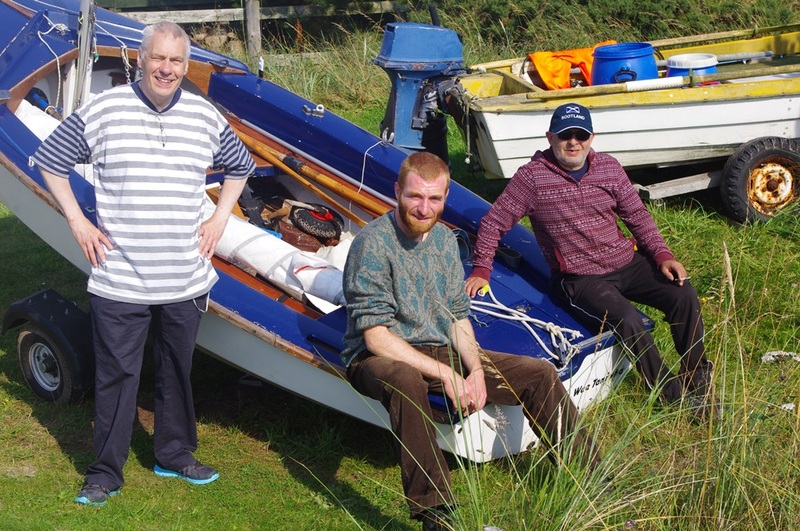 Boats were pulled onto trailers, as the return trip had been cancelled due to worsening conditions and, supported by local landowner Ian Hall, moved to a nice camping spot near his house at Red Castle. 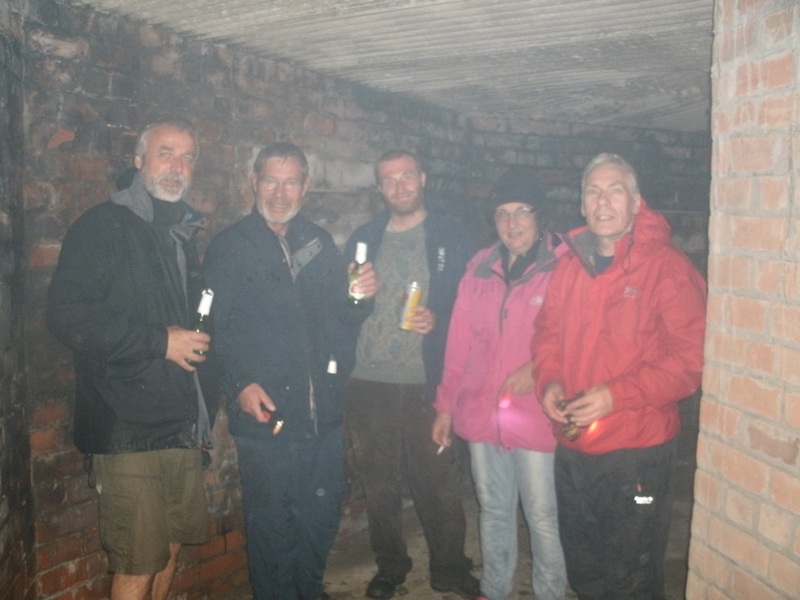 By this time it began to pour and Ian kindly put us up in his small bunkhouse, we lit the BBQ in a nearby WWII bunker and enjoyed a few well-deserved beers! 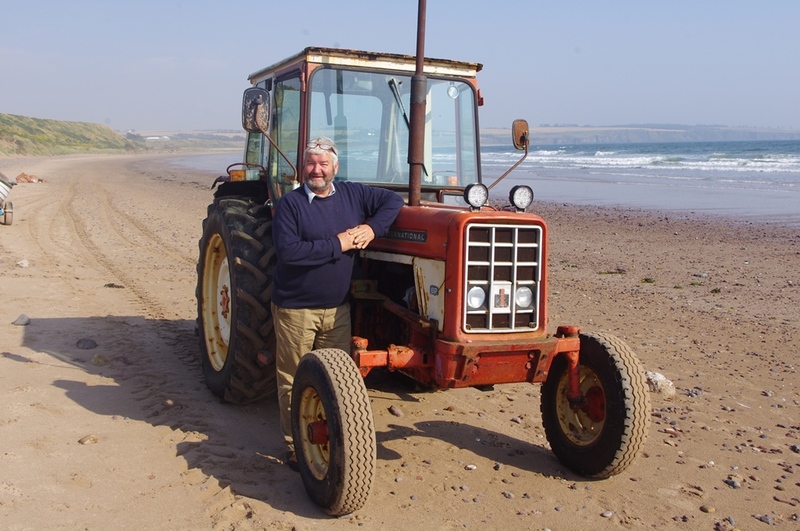 The usual hard work these trips seem to become, but a lot of fun and memorable experiences and magnanimous host Ian and his trusty tractor are keen to support us again for a return trip next year.